A plea for civic engagement. Dorian Dreuil’s commitment to aid work dates from when he was just 16. Presenting here something between a testimony and an essay, he goes back over his 10 years’ involvement as a volunteer with “Action contre la Faim” [Action against Hunger], the NGO that this year is celebrating 40 years of humanitarian action. In an account enlivened with many anecdotes from experiences at the heart of non-profit organisations, Dorian Dreuil takes us from Nepal to Bangladesh, describing the figures and scenes of life in the voluntary sector from his encounters with these new generations of volunteers who are, as the saying goes, “old enough if they are good enough”. 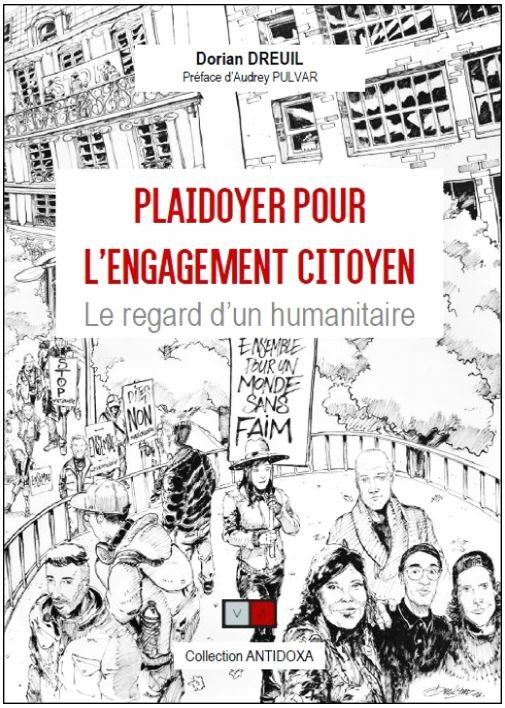 The author is arguing for civic engagement, offering us a new perspective on how citizen involvement and the NGOs are changing, from the point of view of a young person of 27 in charge of an association. 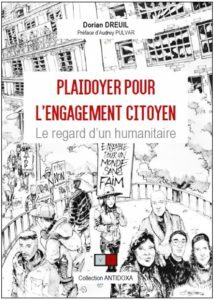 In the course of his narrative, he analyses the new ways of thinking behind volunteering and outlines NGO developments and future trends through the major crises witnessed over the last few years. And lastly, this is the diary of an observer of humanitarian action and international solidarity which can be read from cover to cover in one sitting. Dorian Dreuil is the General Secretary of the NGO “Action contre la Faim”. A graduate in both law and political science, he has been a volunteer for 10 years with “Action contre la Faim”, becoming Departmental Delegate in Toulouse and then Paris, a columnist in the local press and a national spokesman. He is the youngest person ever to be elected to the governing body of an NGO. His civic engagement has been recognized by the award of the Prix d’honneur “Anne-Laure Arruebo” presented by the University of Toulouse 1-Capitole in honour of the victims of the Paris terrorist attack in January 2015. 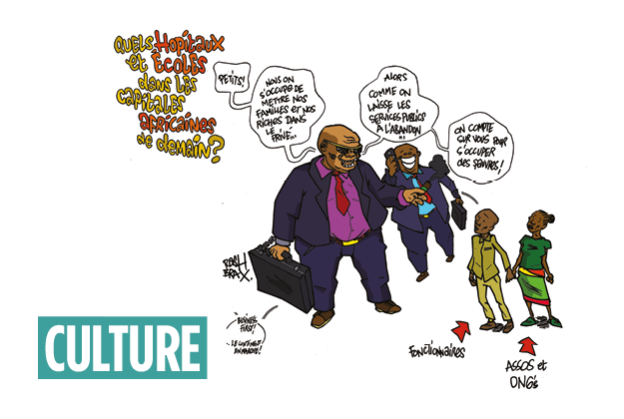 This entry was posted in Books, Culture (VEN), Issue N°10 – March 2019 on 25 March 2019 by Alternatives Humanitaires.